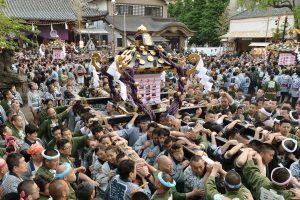 Information on festivals throughout Japan is packed, recruitment for owls of shrines is also being distributed from time to time. There is explanation in English. 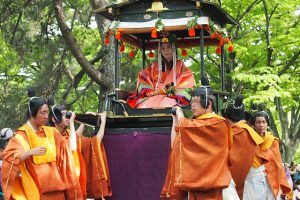 Aoi Festival is a festival to be held in Kyoto City, Kyoto Prefecture. 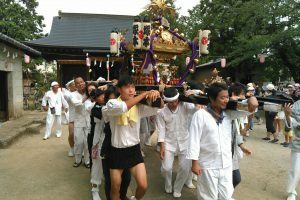 Generally called the Aoi Festival, the official name is the Kamo festival. 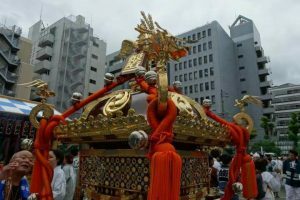 There are also cases called the North Festival based on the positional relationship with Shimizu Hachimangu Shrine where the South festival is held. 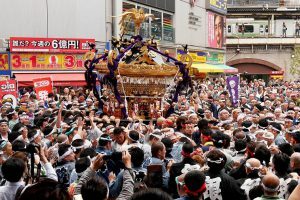 As one of the three biggest festivals in Kyoto, it boasts a high degree of publicity, and around the festival period, citizens and tourists around the shrine become crowded. 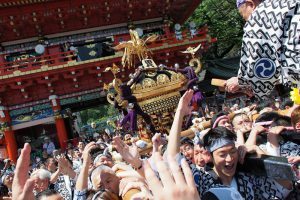 The origin of the festival dates back to 567 years. During the age of Emperor Kinmei, wind and water damage that hindered the growth of crops frequently occurred. 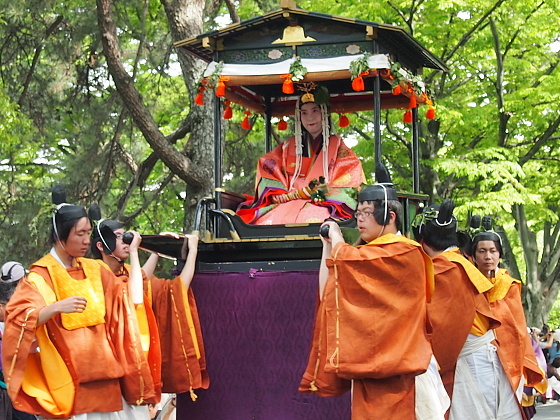 Emperor Kinmei made a fortune teller by divorcee lecturer Ikichi Wakako to explore the cause. 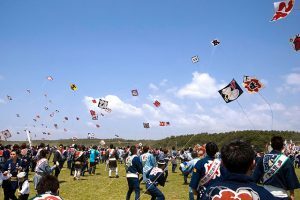 Toyobo Ikichi Hiko found that the cause of natural disasters was the rage of Kamo Ogami, and Emperor Kinme held a festival to hold back fights. 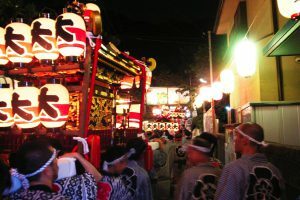 This festival is the origin of the Aoi Festival (Kamo festival). 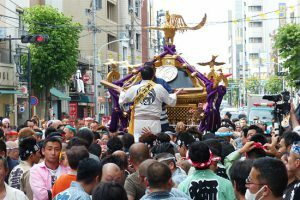 The main attraction of the Aoi Festival is “the ceremonial street of the street” of the grand history historical sculpture, and many events are packed by visitors. The way of the street leads to the Kyoto Imperial Palace, Shimogamo Shrine Shrine and Kamigamo Shrine about a distance of about 500 people in a large matrix. 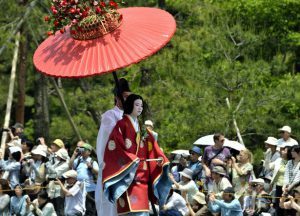 Saori Ohno, the protagonist of the Aoi Festival, makes a long women ‘s line, following a number of women, such as married women, girls, and knights. 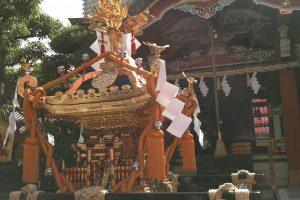 Sayuri who moves gracefully while riding in a gloomy twelve monkeys and riding on a lair (mikoshi). Sightseeing visitors are admired by the scene of Saori Owa who occasionally smiles while having a lot of dignified facial expressions. 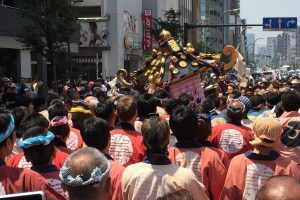 Approximately 500 people are going about 8 kilometers, but because the traffic speed is a bit fast, the roadside ceremony seems to be finished soon. 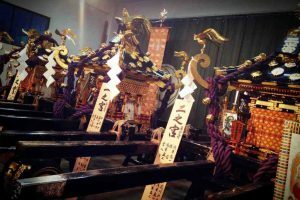 It is a valuable festival where you can see the historical picture scrolls of the aristocratic culture of the Heian era while being in the modern aoi festival, which is interrupted by various problems in the past. Why do not you come and take a look? 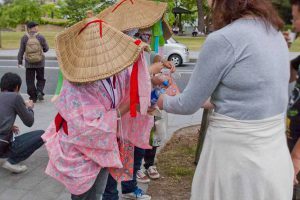 ©Copyright2019 Japanese Shrimp Festival Summary Site | Saya.All Rights Reserved.